Thank you for taking time to stop by my website. I consider it an honor and a privilege to perform the role of Santa Claus. My name is Aaron Bandy and I began "Clausing" (as the trade is known) when I was 18 years old and have done it every year since, making this my 25th year. It all started when Santa came to my house on Christmas Eve 1981. I was 8 years old when my Uncle Hubert dressed up and made an appearance to deliver my toys. I will never forget that moment. I had woke up (be assured that he made enough noise to make sure I woke up!) and "caught" Santa in my house. I will never forget the excitement that I felt - my heart was pounding as I watched him lay out each toy carefully under our tree. He never spoke to me - just a simple wave once his work was complete. He then walked over to the plate of cookies we left out, took one, winked at me, turned around, and walked out with a mighty HO! HO! HO! Two words come to mind when I think back about that visit - Absolute Magic. It wasn't until well into my teenage years that I learned it was my uncle. He came to a family party dressed in his suit. I had no idea he was coming - I was as busy as every other teenager and barely got to the event on time. Before I could be told here comes Santa bounding into the house for all the kids (of course this time I recognized him right away!) - this time I got to watch the magic unfold from the outside looking in. 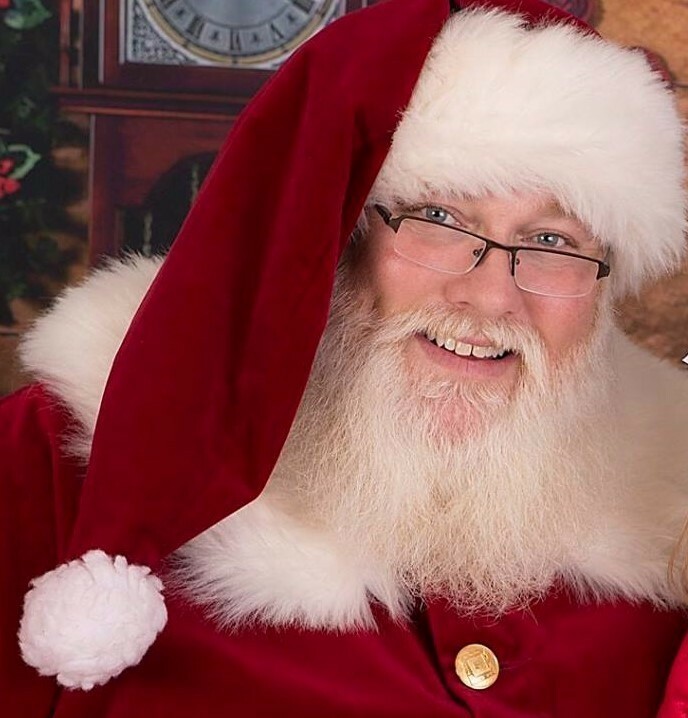 He was simply amazing as Santa. 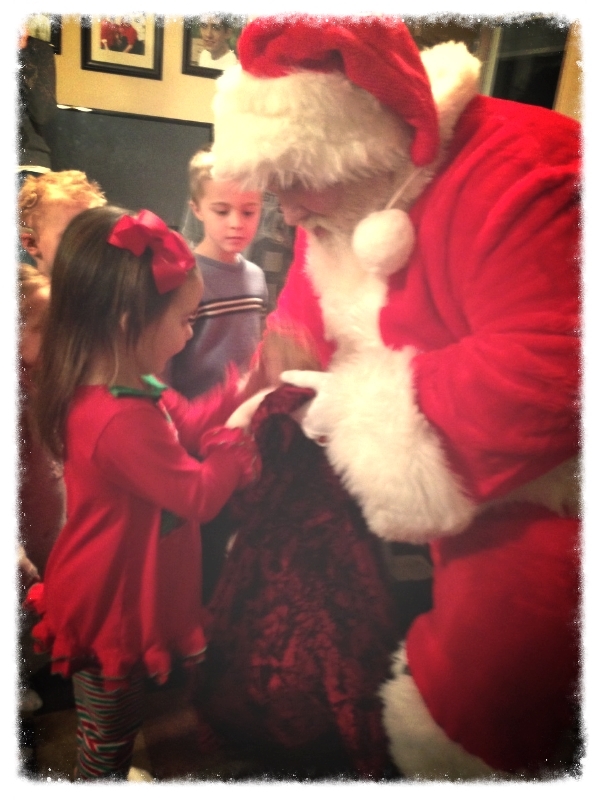 These events along with my love of children are how my Santa adventures began. I will turn 45 years old on December 3rd. I am married to my beautiful wife Amanda (who will also make appearances with me from time to time) and we have three wonderful children - Craig (17), Jimmie Wayne (13), and our beautiful little girl Mattie (7). All of our children know that I perform as Santa, although Mattie knows that I am merely one of his many helpers. Jimmie has performed as an elf for several years now and the children absolutely adore him on our in-home visits. I must say that he has worked very hard to learn his role, and I couldn’t be more proud. ​​To all those that I have had the privilege of serving during the past 27 years - thank you from the bottom of my heart. I can only hope that I have been as much of a blessing to you as you have been to me. By God's grace I look forward to doing this for another 100 years or so. Thank you for taking time to let me introduce myself and may you have a Blessed Merry Christmas and a Happy And Prosperous New Year. Additional Notes: Sometimes children will ask me to do things that are impossible such as bring back parents and grandparents that have passed away. I handle these situations by explaining them from a Christian perspective. I will also use these opportunities to talk to children about God's love, and how Jesus came so that grandma, grandpa, etc. can live in heaven until the day comes that we will see them again. If you have any further questions about these type situations please feel free to ask - also, if you know ahead of time that I may be asked difficult questions please share this with me. The children mean so much to me and I take the responsibility of helping them through difficult situations very seriously. Thank you. ​​A portion of what you pay to bring Santa to your event will be donated to help those in need during the Christmas season.